Bee A Healthy Home Carpet Cleaning has been caring for California finest floors and fabrics utilizes expert technicians that are experienced in all sorts of fabric, flooring and levels of dirt, regardless of how atypical or challenging. Our reputation is to be able to solve cleaning issues when no one else is able to. If our carpet cleaners can’t remove a stain, then no one can get it out! Rest assured that your expectations will be exceeded when the professionals at Bee A Healthy Home Carpet Cleaning are on the task. Our Lincoln carpet cleaning technique is employed by expert Lincoln carpet cleaners who high pressure and temperature truck mounted steam equipment. This means that all the odors, allergens and dust mites living in your carpet are eliminated; leaving your carpet smelling clean and fresh again. Are All Lincoln Carpet Cleaners The Same? Many companies claim to be a professional Lincoln carpet cleaner but many lack the experience and understanding that not all fabrics and carpets should be treated the same. Many so-called professionals leave water and soapy residue behind deep in your carpet to immediately begin attracting dirt again. Or worse, an ineffective Lincoln carpet cleaner can ruin your carpet and pad. Too much water left in your carpet can also create a breeding ground for mold and bacteria. Using an inexperienced Lincoln carpet cleaning company is usually more trouble than it’s worth. 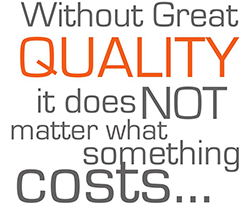 Don’t settle for second best when Bee A Healthy Home Carpet Cleaning is just a quick phone call away. Our knowledgeable and friendly Lincoln carpet cleaners are a complete solution to all your home or business cleaning requirements. Call now at 916-974-9490 or 530-210-2544 and discover why Bee A Healthy Home Carpet Cleaners are California’s leader in residential and commercial carpet cleaning services.